Coffee Biz is a 100% NZ owned and operated company based in Auckland that imports and provides high quality, state-of-the-art coffee vending machines to businesses throughout NZ. 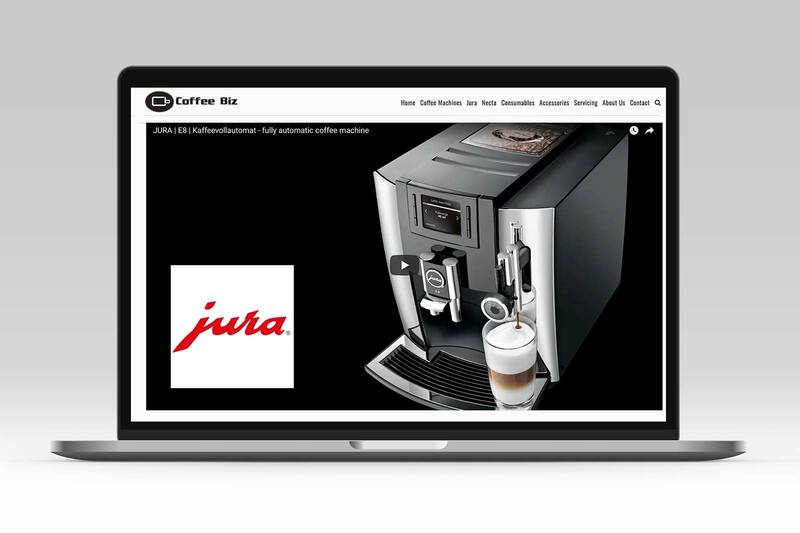 Coffee Biz came to Hart Design looking for a fresh new look for their eCommerce website. 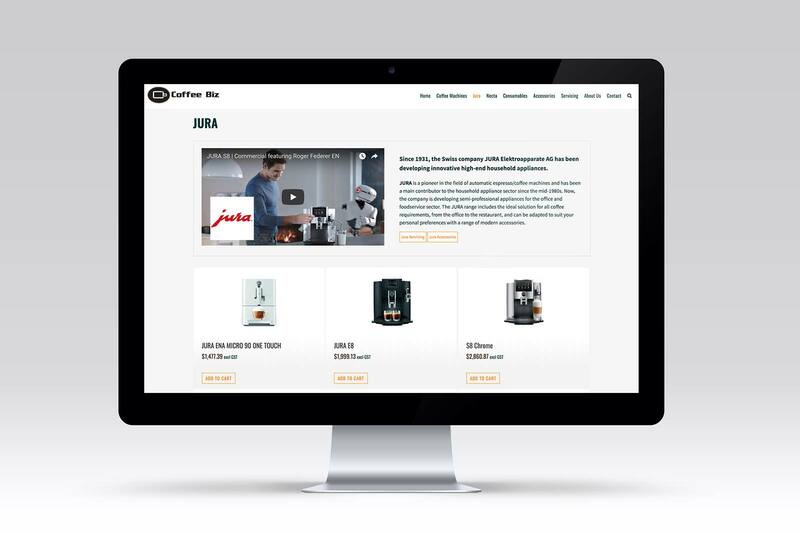 Hart Design build ecommerce websites for our customers. We’re big fans of WordPress, and Woocommerce is an ideal plug-and-play ecommerce solution for many small to medium sized businesses around New Zealand. Woocommerce provides the system, and we as ecommerce website developers complete the set up, product inventory, shipping and all other configuration requirements to deliver you a ready-to-use online shopping website. Woocommerce provides the framework for selling online with WordPress. Once your products are in place and the design is looking on point, you can further customise Woocommerce to suit your business requirements. For Coffee Biz, they sell products as light as tea bags and as heavy as commercial espresso machines for use in a busy cafè. We have created a raft of shipping options that are automatically applied to an order based on the products that have been ordered and the location of the shipping address. This is just one example of how Woocommerce can be customised. 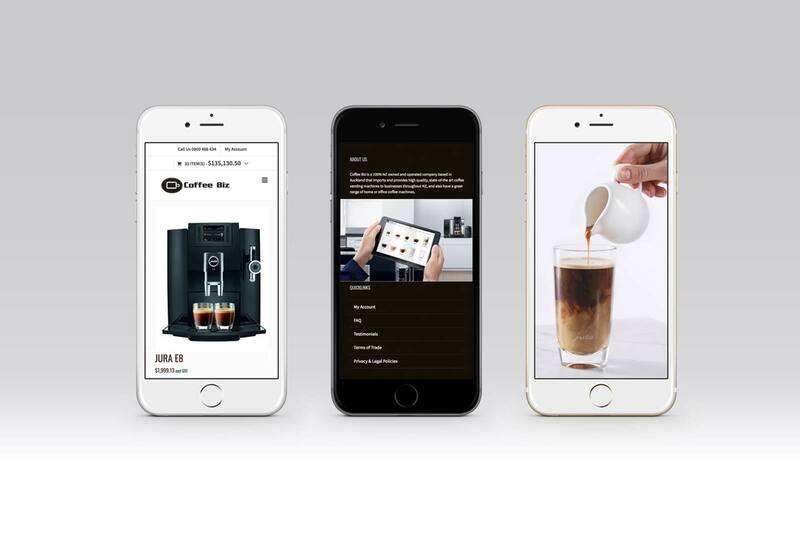 Ecommerce website development and digital marketing go together like coffee and cream.